This Chevrolet Prerunner Silverado built by Kibbetech is pretty similar to the shop’s BugattiMax Prerunner Silverado that appeared on this site awhile back, in that it’s a race-ready monster capable of advanced off-road maneuvering. This video gives us a small taste of its capabilities. 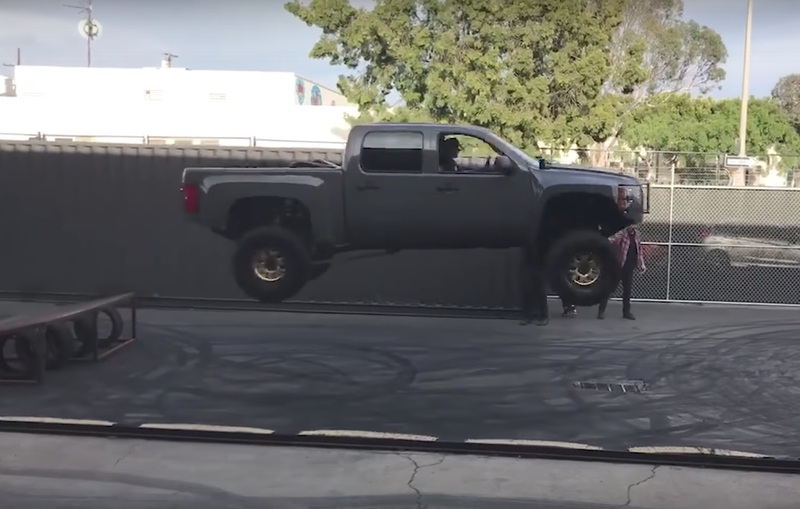 The main event in the video is a perfectly executed stunt jump, which is then followed by a series of donuts, because who doesn’t love donuts? Before the action begins, Ryan Kibbe gives an overview of the truck, which began as a 2010 Chevy Silverado that came in for fiberglass bedsides. From there, the build began to snowball, and now, the fully-built truck features everything from a 418-cubic inch Mullenix LS3 stroker pushing out 640 horsepower at the crank to a 2-piece driveline, 40-spline axles, and 37-inch tires. Go ahead and click play above to get the full scoop on the Kibbetech Prerunner Silverado and watch it get some serious air time at the Hoonigan headquarters.